There have been 8 units sold in this building in the last 12 months. The last unit in this building sold on 10/12/2018. Click here to get the details of all closings in the last 12 months. 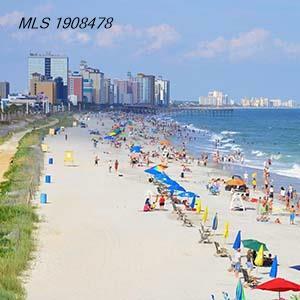 Sands Beach Club Resort has long been one of the most popular and well-known in Myrtle Beach Real Estate. With all the Myrtle Beach real estate arena has to offer, that's no small accomplishment. Real estate investors point to the condo development's ideal location and rental history as part of the reason Sand Beach Club condos for sale are so well-known. Tucked away on the oceanfront in the secluded, private Shore Drive area, the Sands Beach Club is still remarkably convenient to everything the area has to offer. Sands Beach Club condos for sale include two-bedroom condo units perfect for a relaxing vacation or a weekend getaway. Welcome to the official CENTURY 21 Strand Group website for Sands Beach Club condominium sales.